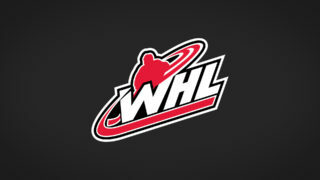 CALGARY, AB – The Canadian Hockey League in association with the Western Hockey League and the Kamloops Blazers and Prince George Cougars Hockey Clubs today announced the rosters for Team WHL that will compete against Team Russia in the 2010 SUBWAY® Super Series. The 2010 SUBWAY® Super Series will take place November 8 – 18 and marks the eighth straight year that teams of CHL All-Stars have competed against Team Russia in preparation for the World Junior Hockey Championships. The SUBWAY® Super Series is an integral part of the evaluation process prior to Team Canada’s final selection camp in December. This season, Canada will be competing for their 13th straight medal at the 2011 tournament in Buffalo, NY. Team WHL will face Team Russia in games five and six of the series played Wednesday, November 17 in Kamloops, BC, and on Thursday, November 18 in Prince George, BC. The first two games of the series are hosted by the QMJHL with the OHL hosting games three and four. 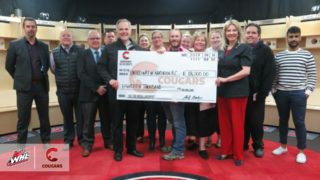 Team WHL was selected by a special committee of WHL General Managers along with Kevin Prendergast, Hockey Canada’s Head Scout for the Canadian National Junior Team, as part of the selection process for the 2011 World Junior Hockey Championships. 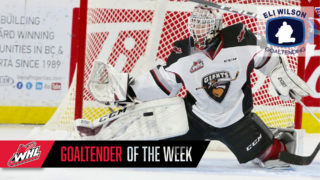 The complete Team WHL roster consists of 32 players – two goalies, 10 defenceman and 20 forwards. 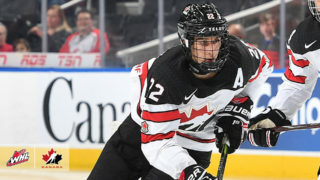 Top NHL prospects for the 2011 NHL Entry Draft Ryan Nugent-Hopkins (RD) and Ty Rattie (POR) will compete in the series along with 2012 NHL Draft top prospect Ryan Murray (EVT). Team WHL also features four first round draft picks from the 2010 NHL Draft, Ryan Johansen (POR), Brett Connolly (PG), Mark Pysyk (EDM) and Quinton Howden (MJ). Defenceman Jared Cowen (SPO) is the sole returning player from Team Canada’s 2010 silver medal team and was selected in the first round of the 2009 NHL Entry Draft. 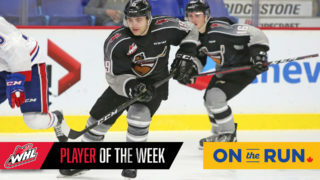 Game tickets are available at the Kamloops Blazers Box Office (250-828-3339) and the Prince Geroge CN Centre Ticketmaster Office (250-564-5585) or visit www.ticketmaster.ca. The 2010 SUBWAY® Super Series is supported by CHL associate sponsors, Bank of Montreal and CCM. All games will be broadcast nationally on Rogers Sportsnet with the two QMJHL games shown on RDS. The SUBWAY® restaurant chain is the world’s largest submarine sandwich franchise, with more than 31,000 restaurants in 90 countries and over 2,400 restaurants in Canada. In 2002, the SUBWAY® chain surpassed McDonald’s in the number of restaurants open in the United States and Canada. Headquartered in Milford, Conn., the SUBWAY® restaurant chain was cofounded by Fred DeLuca and Dr. Peter Buck in 1965. For more information about the SUBWAY® restaurant chain, visit www.subway.ca.